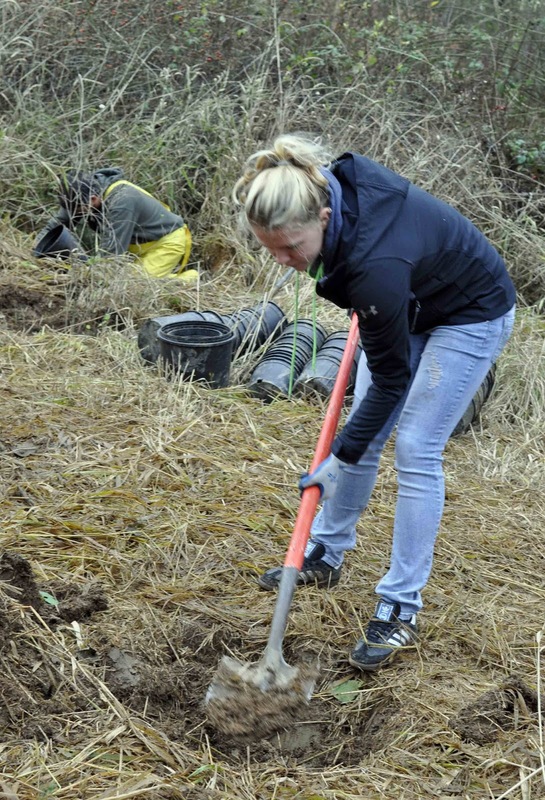 Nearly 100 volunteers of all ages turned out on Saturday, November 17, 2012, for the Nooksack Salmon Enhancement Association’s fall Terrell Creek tree planting. 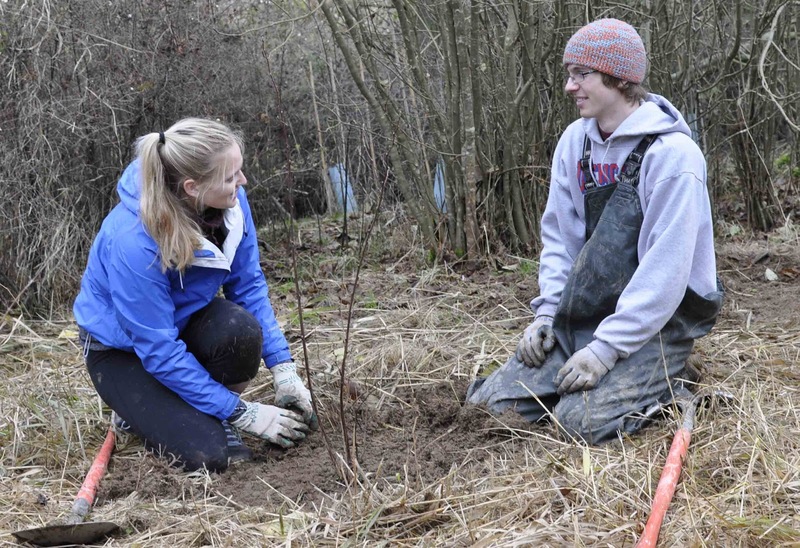 The largest contingent hailed from Western Washington University. put the finishing touches on the tree they planted. attaches stakes to a protective blue tube. prepares a new home for her tree. 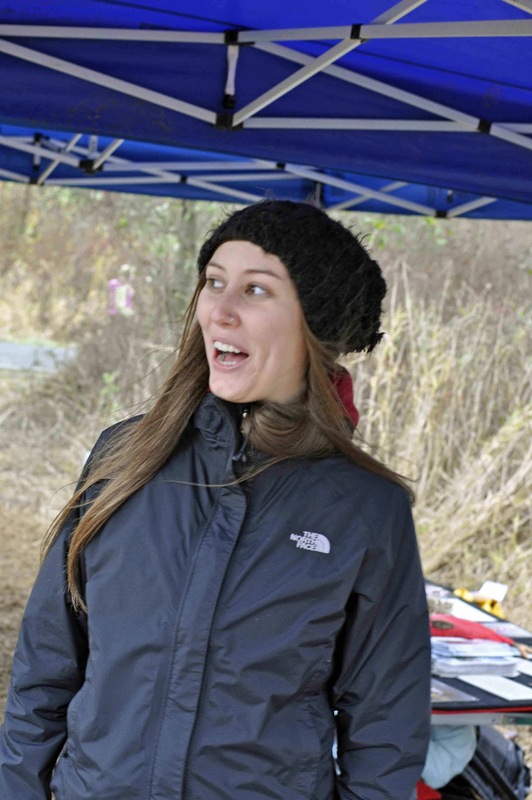 Alana DiMarco, from Mukilteo, a Western Environmental Education volunteer with NSEA, welcomed and registered volunteers as they reported in. nearly every day with NSEA. 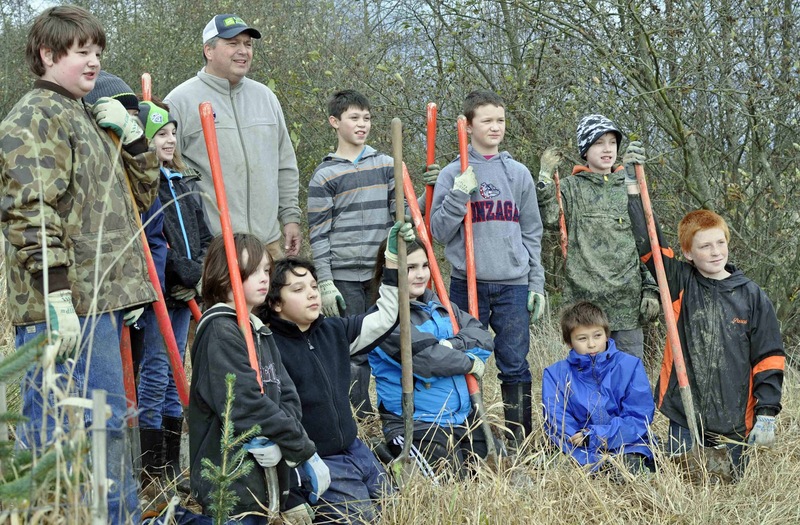 Ken Johnson’s sixth grade class from Blaine Middle School made a significant contribution to reforestation of the Terrell Creek watershed. 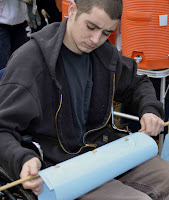 Although he offers extra credit for participation, he says most of the kids who turn out are already A students. 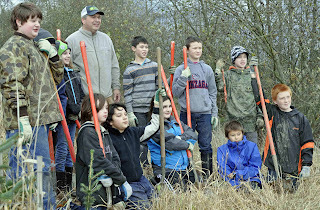 Ken Johnson’s sixth grade class get extra credit for their tree planting work. 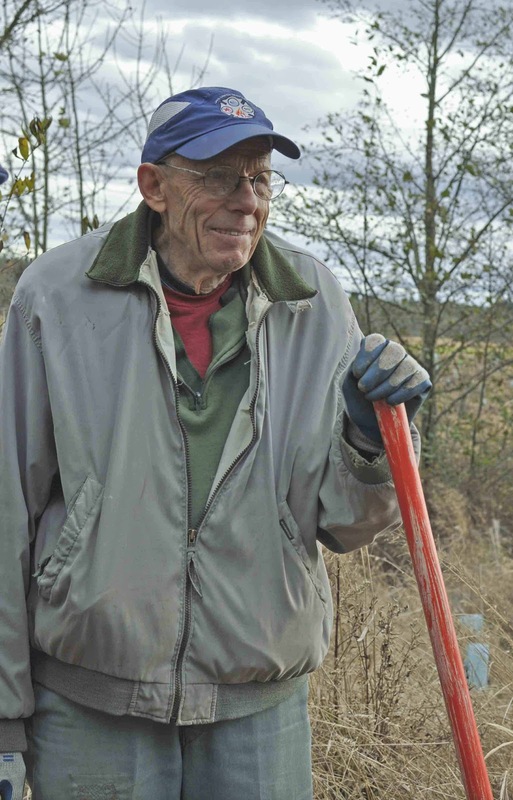 Stu Currier, who says he is old enough to collect Medicare, has participated in tree plantings for 14 years, including several trips to Terrell Creek, Whatcom Creek and other sites. planting NSEA trees for 14 years.